Spear Point by John Lloyd. 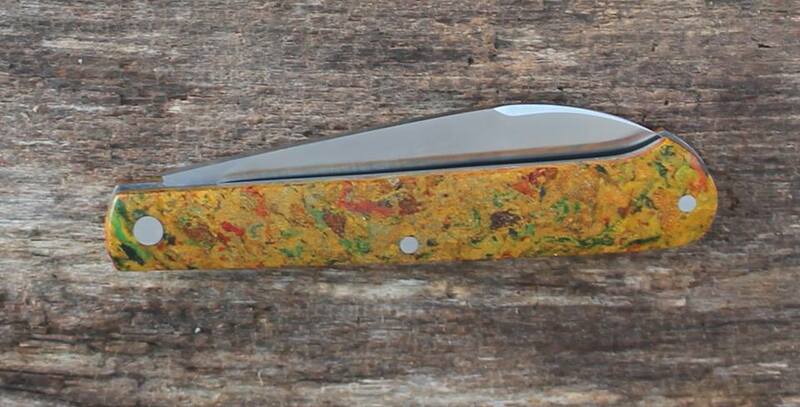 This is 4" closed with colorful rag micarta. Totally pinch able and a nice smooth 5+ action.